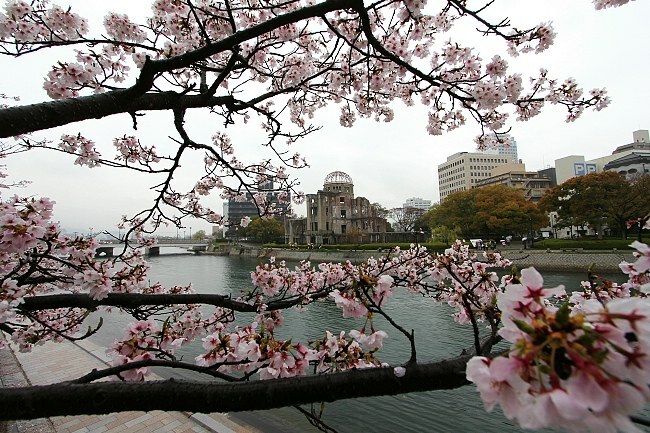 Hiroshima's cherry blossoms were reported to have opened on March 22 and to have reached full bloom four days ago on March 29, almost one week earlier than in the average year. 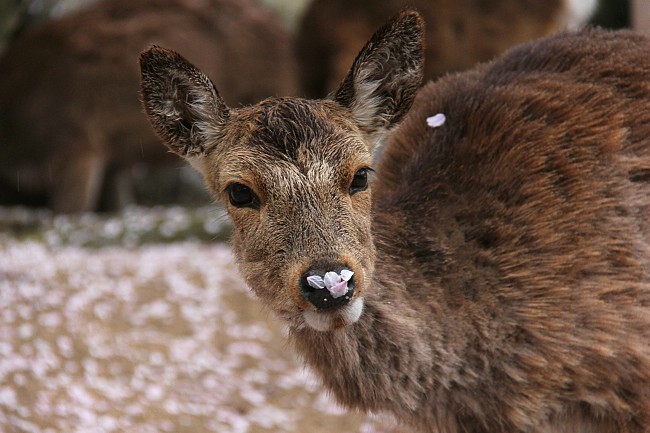 Today, I checked the state of the blossoms at multiple hanami spots across the city center and on the nearby island of Miyajima to find that the trees have started to drop their first petals. 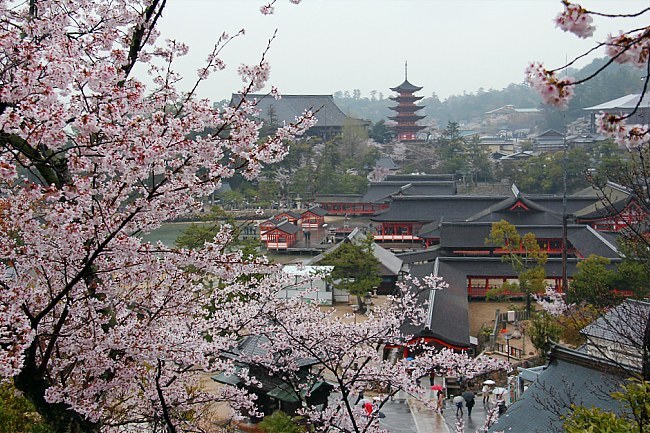 A moderate number of cherry trees are planted across the town of Miyajima, behind Itsukushima Shrine and in a couple of small parks along the outskirts of town. 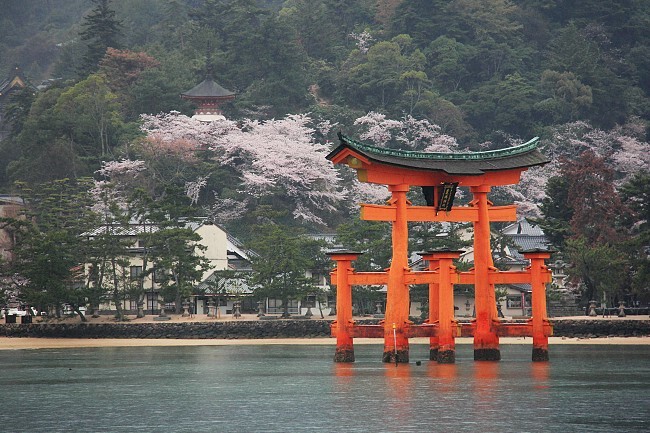 They further enhance a visit to the lovely island during this time of the year. 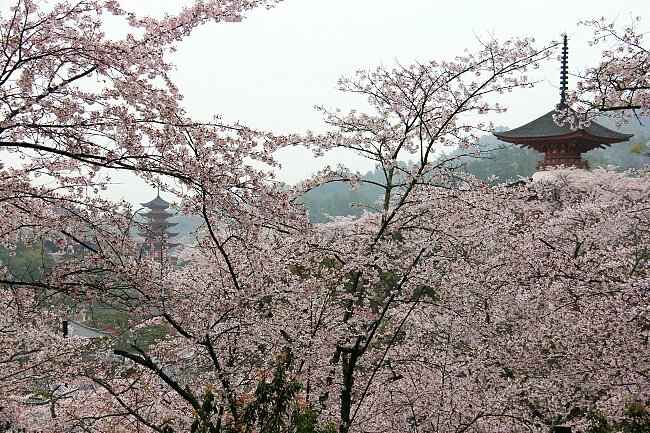 One of the best places for the blossoms is around the two-story tahoto style pagoda. 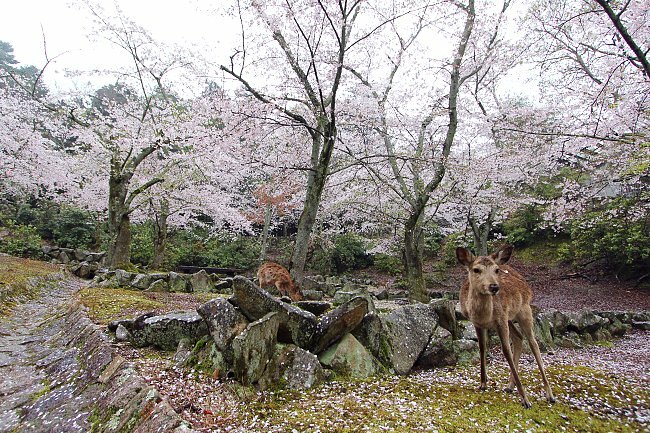 Many cherry trees on Miyajima have started to shed some first petals, however, they are likely to survive today's rain in a relatively good shape and continue to please visitors over the coming three sunny days. The rain predicted for the weekend, however, may bring the season to an end. 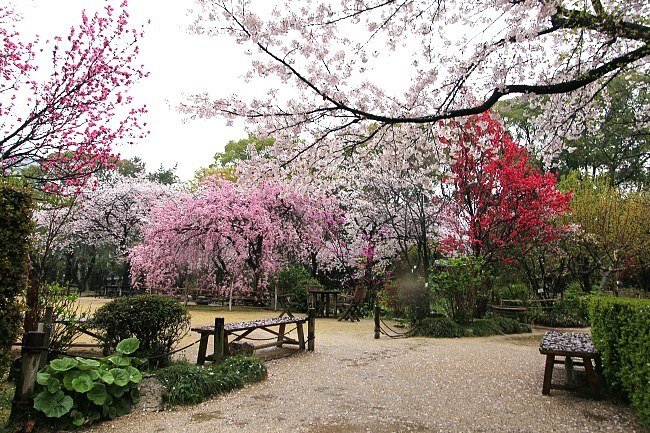 A long row of cherry trees line the river along the eastern edge of the Peace Memorial Park, providing many hanami picnic spots. 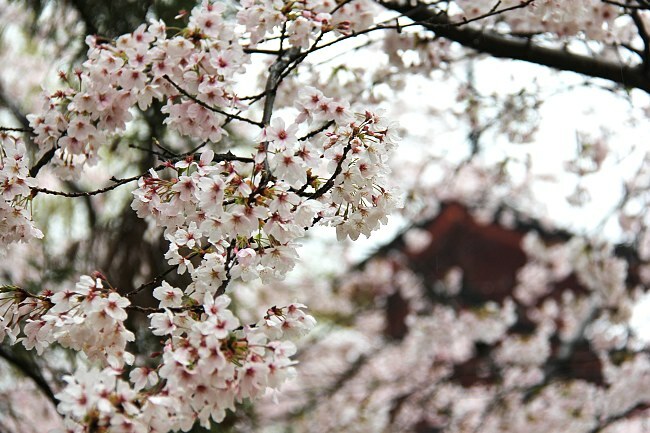 Due to constant rain, however, hanami activity was understandably low today. 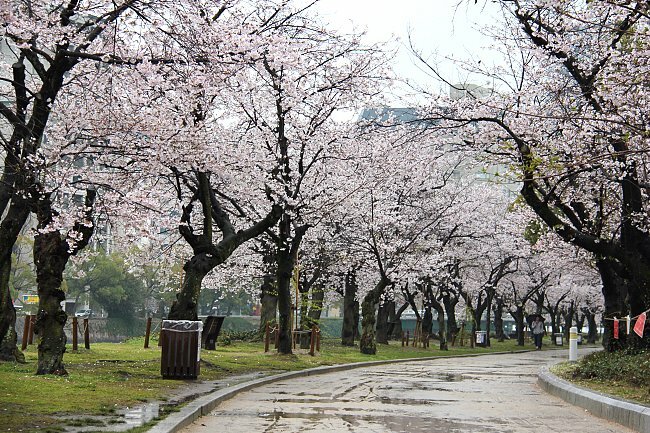 Despite the rain, I did not spot a considerable amount of petals beneath the park's trees yet. 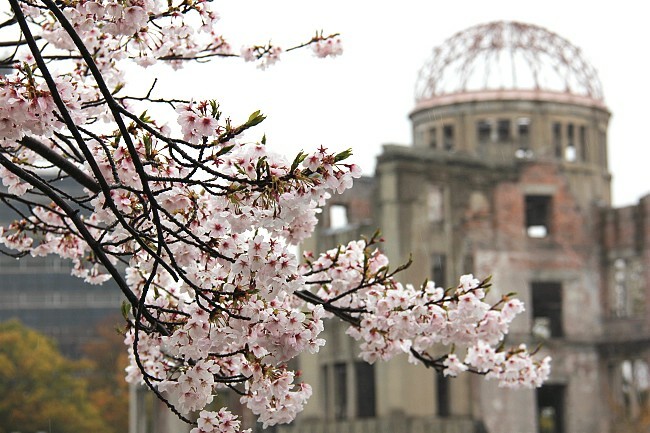 They still stood at full bloom. 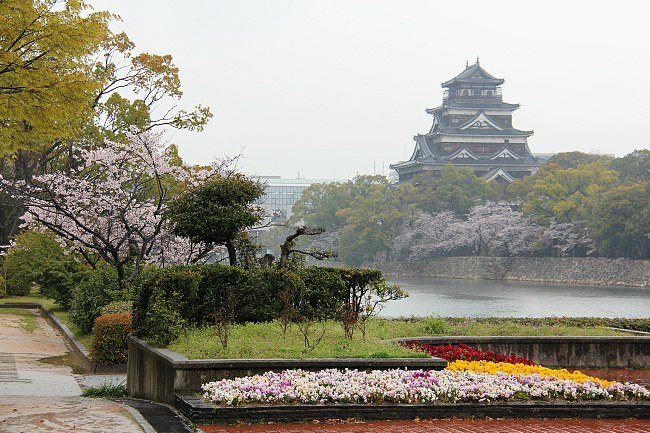 A ten minute walk from the Peace Memorial Park stands Hiroshima Castle which is surrounded by several hundred cherry trees. 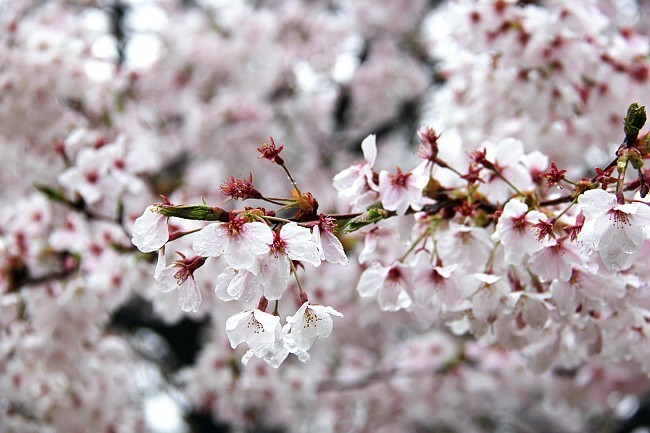 Here, the petals have started to fall, but the trees were still close to full bloom and should continue to provide good hanami conditions over the next few days. 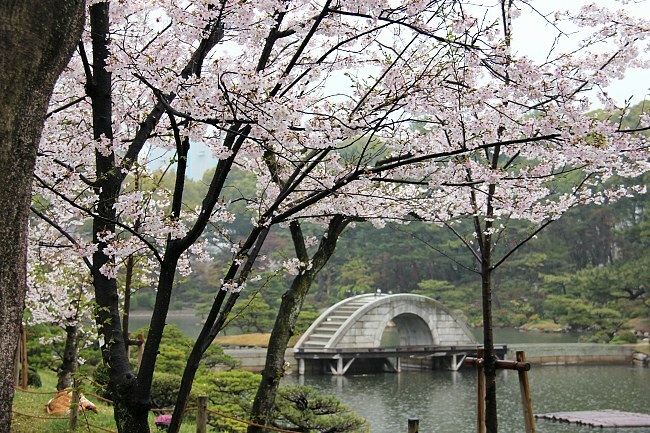 Another five minute walk away, I visited Shukkeien, a traditional Japanese pond garden that features several cherry trees. 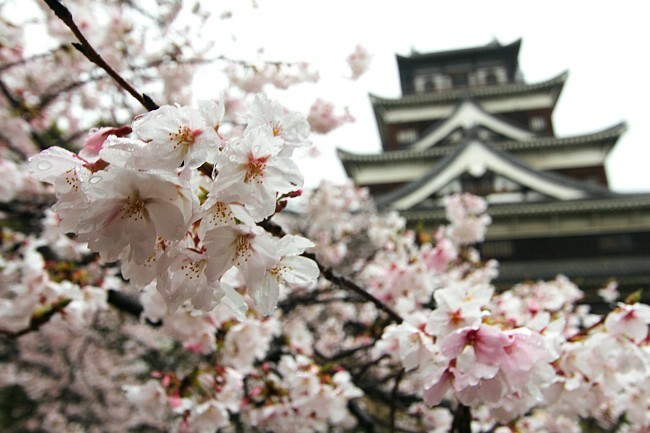 The state of the blossoms was identical to the one at Hiroshima Castle except for a few further advanced trees in the back of the garden that were already beyond their peak.